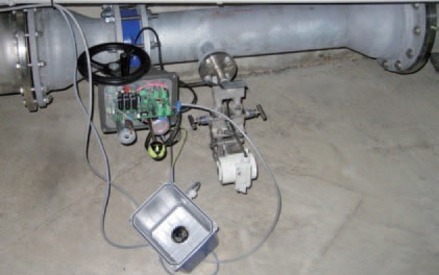 The precise supply of air flow into sewage aeration basins influences the quality of the cleaning process and can save costs by optimizing the use of compressed air.Too low oxygen supply leads to ineffective process operation. In the worst case legal limits can be exceeded. Over ventilation doesn't lead to higher cleaning performance, but the energy costs incurred for running compressors reduce the site cost effectiveness. Deltafit secures optimum oxygen input to your process, saves energy costs, works under heaviest conditions for years without any maintenance - fault-free. The systems are proving their reliability in thousands of industrial installations in the entire process industry. The ready-to-go setup components are ready mounted and do not need any start up efforts after installation! Deltafit saves you money for the whole installed period. Low acquisition costs, low maintenance, low installation costs and long-running high quality components. 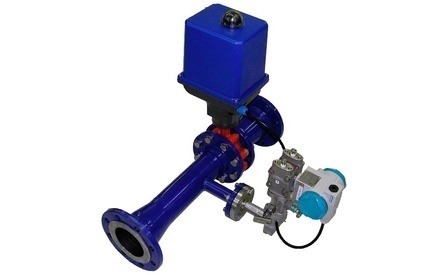 The intelligent valve drive is not only a perfect positioner, but also includes the power supply for the connected sensors and includes a controller to optimize the airflow. Separate costly electronics and external wiring are not necessary. The pressure loss of Deltafit is very low, this is also saving energy on the compressor. And since the accuracy of the air regulation is perfect, no unnecessary air is wasted. 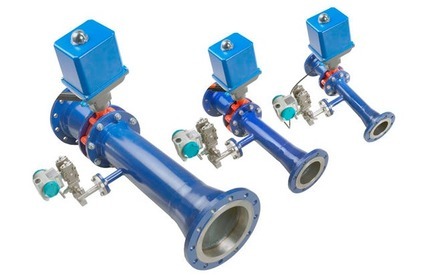 Air for sewage basins or combustion air in process industries.